This past weekend I had the honor of modeling in a bridal show put on by Visuelle Productions, of Appleton, Wisconsin. The shows are always very fun, and very well done, and this one was no exception. If you're a bride in the Appleton area, I definitely recommend attending the next one! As part of the show, I also got my hair and make-up done. I absolutely loved my updo by Abracadabra Hair Salon, also of Appleton, Wisconsin. The fishtail was so on trend! Thank you, Sue Diehl of Visuelle, and Brenda Lee of Abracadabra! J. 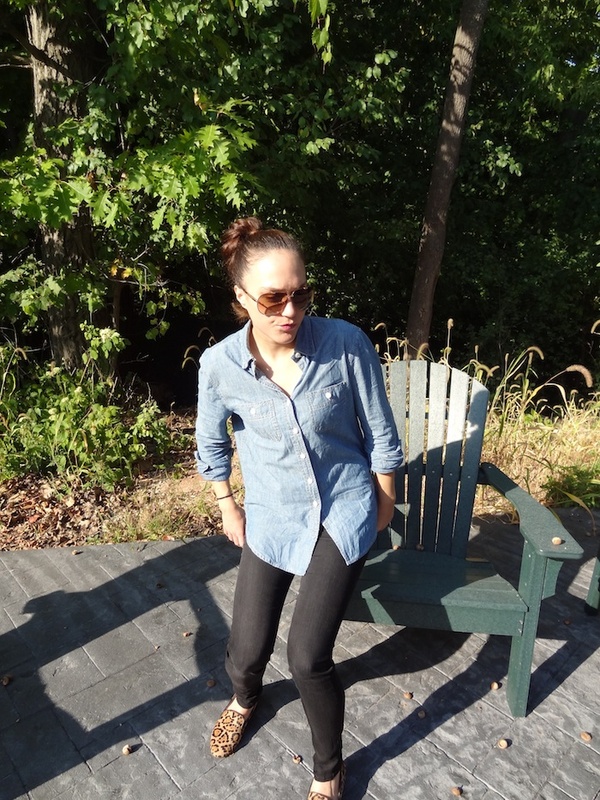 Crew chambray (similar), Rich & Skinny Legacy jeans (similar), Steven by Steve Madden shoes (similar), Marc Jacobs sunglasses (similar). Your hair looks so pretty! I'm glad you had fun at the fashion show! This outfit is basically my go to look for the weekend. Simple but still completely in style. 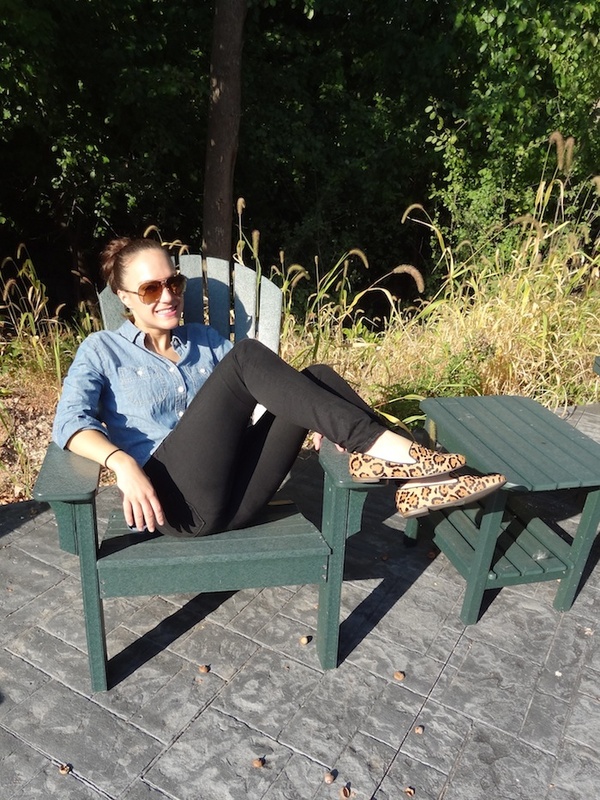 And I love yor leopard loafers, too! 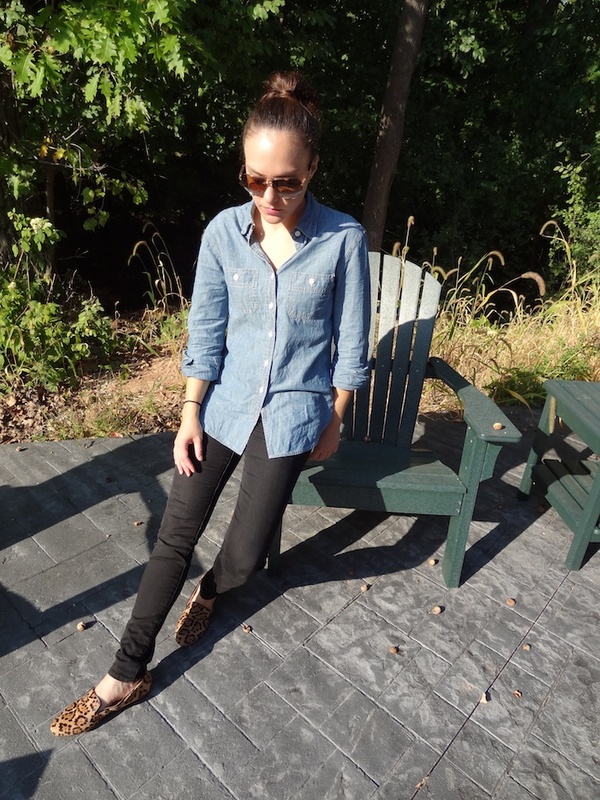 The chambray shirt , black jeans and leopard loafers really work. Everything Just looks very simple and clean. thanks for the tip ! going to be on the jcrew website to find a shirt just like yours but for men's! Love the shoe... so cute! 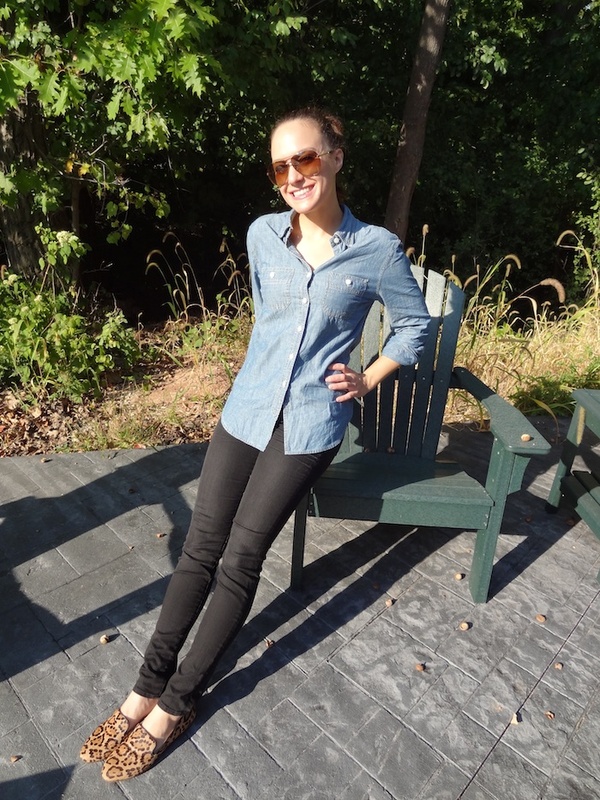 I've been on the fence about chambray shirts but I really like how you paired it with black skinny jeans and leopard print flats. I might pop into Zara to see if I could find one at a good price. Thank you for the inspiration. Thank you! You're welcome :) I hope you found one! lovely casual yet lovely outfit! Fun look - I especially LOVE your shoes!! so easy adn chic! love it! I love those flats. You look great. Hi dear! A beautiful post! I like your outfit, especially the shoes! 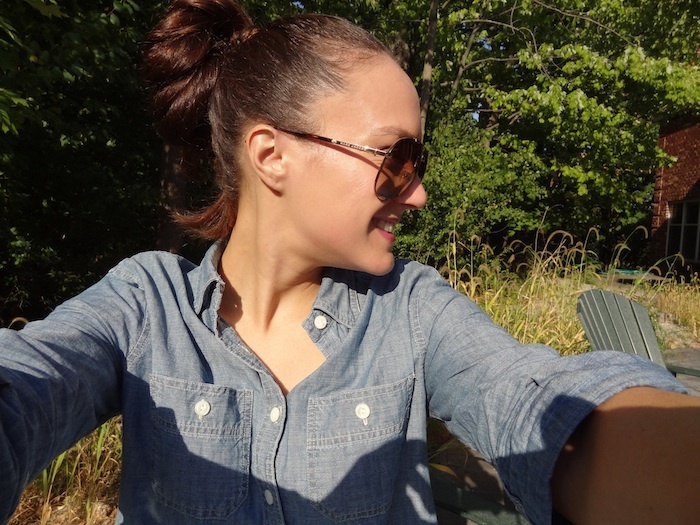 I follow you in bloglovin! Have a nice day! If you want I'm also on instagram @cosa_mi_metto leave me a comment and I'll follow you back! love the fishtail and your casual look!